When the holidays come around, one of the best ways to show you care is by making your gifts instead of buying them. At our custom patch company, we’ve rounded up 25 great homemade gift ideas to please everyone on your list, and if you have any of your own, we’d love for you to share! 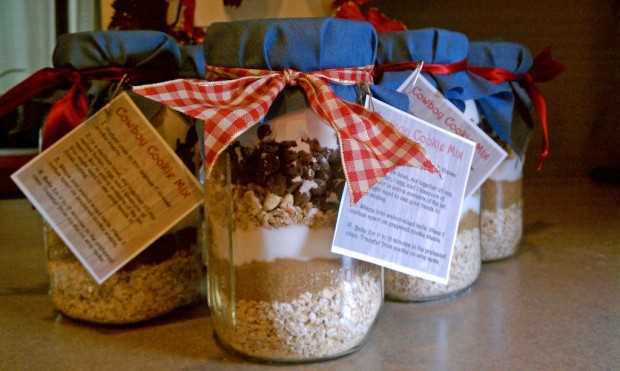 If you have friends or family members who love to cook or bake, mason jar recipes are a great creative gift. They can not only make and eat what’s inside, but they can reuse the jar, too! Try cookie recipes like M&M, White Chocolate Cranberry Oatmeal, Mint Chocolate Chip, and more. Or, put together a warm, wintery soup mix like Potato Soup, Five Bean Soup, or Chicken Noodle. You can also stick to a classic Hot Cocoa mix. Sugar scrub is not only easy to make, but it’s also incredibly customizable. Simply start with some sugar of your choice (brown, raw, or white), then add some oil (almond, olive, coconut, jojoba, etc.) and a scent, (essential oil, natural oil, fruit, cocoa, etc.). We found some great recipes that will please everyone here. There are a lot of coffee drinkers out there, and if your friend or family member is one of them, give them a unique way to enjoy their daily cup of joe. With just a Sharpie marker or paint pen, you can decorate your very own coffee mug and bake the design onto it so it can be used again and again. Write out a favorite quote, spell out their name, draw a fun design, and more. We’ve found a great letter mug tutorial for some inspiration. For those who love to sew, Hometalk (a great website for home and garden needs) put together a cute tutorial for a homemade sewing kit gift box that you can give to any sewer, whether they’re a beginner or an expert. It also makes a great travel sewing kit! Homemade coasters are perfect for everyone, and there are dozens of different kinds you can make. Try making ones from painted cork, gilded stone, ceramic and ink, Scrabble tiles, wine corks, leather, fabric yarn, and many more. You can create them to match a certain decor or just have fun with them. We all have that one friend or family member who is always buying and burning candles, so why not make them their very own homemade one? Stick with a traditional soy candle in a mason jar or make your very own bottle cap tea lights. You can even colorful with blocked crayon candles or go completely out of the box (and into the hearts of many) with a bacon-scented candle. When there are Christmas trees, there are ornaments, and when there are DIY ornaments, there are more ideas than you can count. From the simple and sweet to the intricate and ornate, there are ornaments to make for everyone on your list. Because there are way too many to list, we’ll give you this link to 48 Easy and Homemade Christmas Ornaments. For those who are always busy or who love to be organized, a calendar is a great gift. However, if you give them one that’s only good for the next year, they’ll have to get rid of it after that. Why not make them one that they can use over and over again? With just a few supplies (paint chips, glue, fabric, and a poster frame), you can create a unique paint chip calendar that they can write on and erase every month! Everyone loves a warm fire when it’s cold outside, but getting one started isn’t always that easy. That’s where pinecone fire starters come in. Coated in wax, these fire starters are not only decorative, but they’re also great for getting the flames going. They do take a little time, but you can use leftover candle wax and pinecones you find outside to make them. Friends and family members alike can get comfortable with warm and cozy sweater pillows, and the best part is – they’re easy to make! All you need is an old sweater of any color and material, a pillow, and a sewing machine. For a great tutorial, click here. This entry was posted in DIY and tagged crafts, holiday, sewing, thread, yarn.